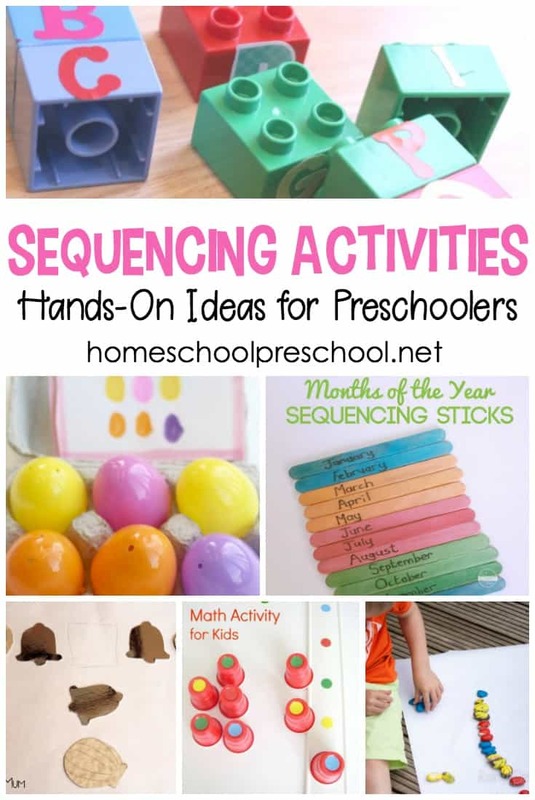 Kids will begin to make sense of the order in which events happen when you introduce them to sequencing with these 3 step sequencing cards free printables for kids. When you use sequencing cards with your preschoolers, you’re helping them understand how events occur in a logical order. This skill is necessary as they begin to hone their beginning math skills. Sequencing allows them to recognize patterns in their everyday lives. It helps them make sense of the world around them. Working on sequencing skills helps preschoolers begin to retell stories as they talk about the beginning, middle, and end. It also helps bring order to the things they do for themselves as they work toward independence – first socks, then shoes, etc. Use words like first, next, and last as you go about your day. First, pour cereal in your bowl. Next, pour milk on it. Last, eat your cereal. 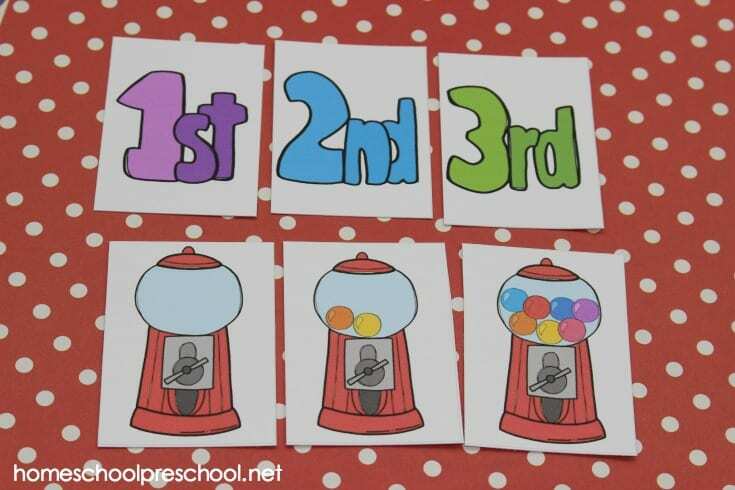 Use ordinal numbers (first, second, third, etc) as you play games or notice things around you. The teenager is first in the grocery line. Second is the mom with the baby. We’re third in line. Who is fourth? Talk about the stories you read at bedtime. Ask your child what happened in the beginning. What happened in the middle? How did it end? 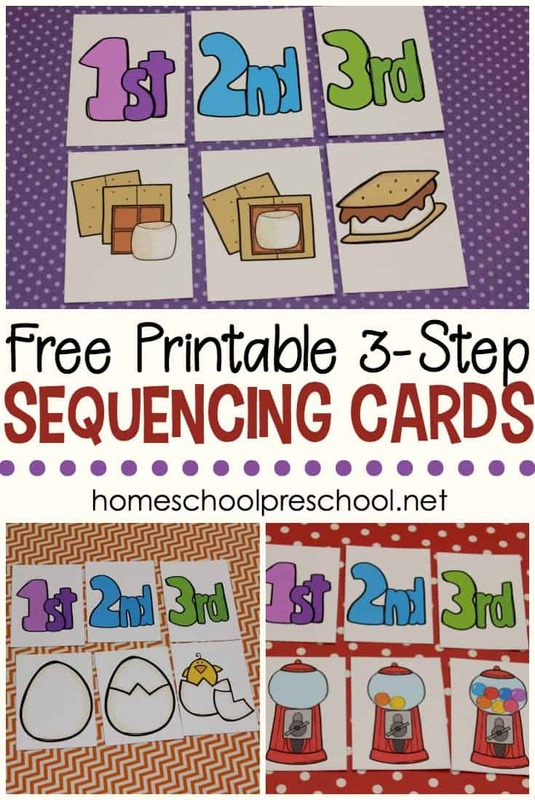 These 3-step sequencing cards printables are perfect for preschoolers and pre-readers. 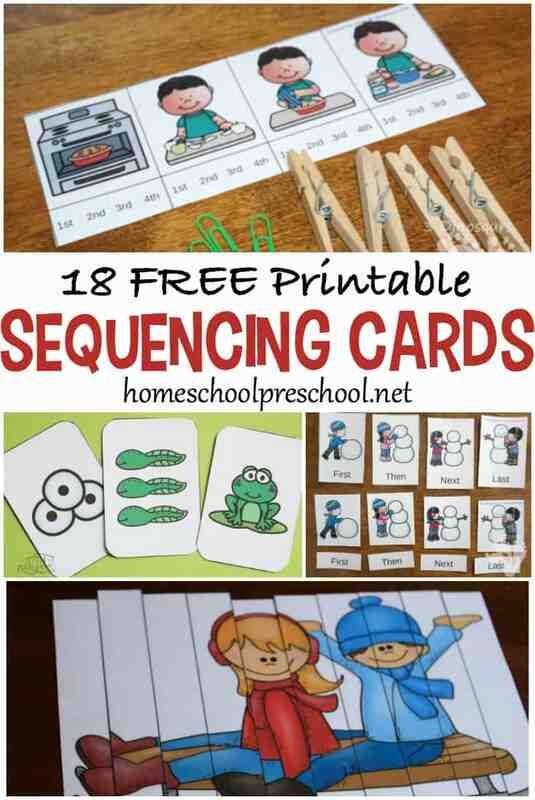 This printable pack contains 25 sets of sequencing cards plus a set of 1st, 2nd, and 3rd cards. I suggest printing them on cardstock and laminating them for durability. Then, cut out all of the cards. Put the 1st, 2nd, and 3rd cards on your workspace. Choose a set of cards (an egg hatching, for instance). Discuss each of the steps with your preschooler. You can even make a story out of them as you go. One day, I found an egg in the backyard. I brought it inside and put it on the table. The next morning, I noticed a crack on the eggshell. Later in the day, the egg cracked open and a baby chick popped out. 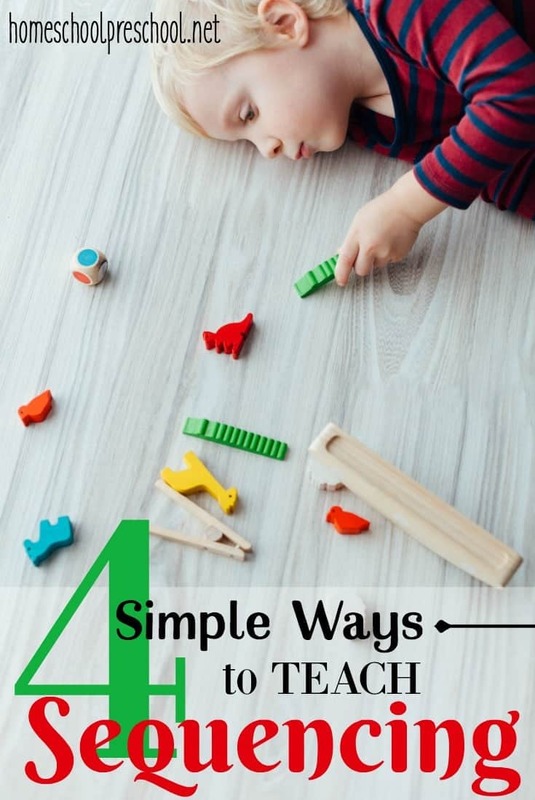 Once your preschooler gets the hang of it, they can work on this activity independently. It’s easy for you to peek over and be sure they’re sequencing correctly. If not, you can walk them through the steps and help them re-order the cards. Let them tell you stories about their favorite set of cards. If you’d like to expand the lesson, you can add these “how to” writing pages. You can also read the books featured below, and have your preschooler tell you the order of events. What happened next? Then what happened? Did the bear see the purple horse or the yellow duck first? What happened after the mouse ate the cookie? These Sequencing Cards for Kids are only available to my readers. Click the button below, enter your information, and then check your inbox for your printable. They look awesome, however, I have not received the email yet. I’m so sorry about that. I have fixed the issue. Please reenter your email address, and you’ll be able to download the file. These would be really useful for when I am doing language therapy with children would appreciate! Would love to use your Humpty-Dumpty, S’Mores and Bubble Gum Machine sequencing cards for my toddler storytime tomorrow. Can I get access to them quickly? Click the “download” button, and you’ll be taken to the file.